Natural Reserve of the Marsh of Fucecchio – Le Morette Area: birdwatching visit in the protected area with a Guide IN ENGLISH. The Center RDP Padule di Fucecchio also organizes two birdwatching visits for foreign tourists (in English) in the Padule di Fucecchio Nature Reserve – Le Morette Area (Monday 22 April and Sunday 28 April). The Padule di Fucecchio, the largest Italian inland marsh, has a fundamental role in the migratory routes between the Tyrrhenian coast and the interior; here you can observe over 250 species of birds during the year. The marsh area therefore offers, in addition to the beauty of unique landscapes, exceptional opportunities for birdwatchers and nature photography, especially during the spring migration period. A pleasant walk on a flat road, really suitable for everyone, allows you to admire suggestive landscapes, crossing the Chiusi Woods with its ancient oaks for a long stretch, up to the ancient Porto de Le Morette. The itinerary continues along the banks of the Terzo, now in the heart of the marsh, to reach the Casotto del Biagiotti, which for many years has been used as a wildlife observatory in the protected area, with an excellent view of the water in the Natural Reserve. Even the less experienced, thanks to the guidance of an operator from the Center and the powerful telescope made available by the Association, will be able to do birdwatching by learning to recognize numerous species of water birds. Difficulty: none; flat route of about 6 km including the return. All excursions are conducted by a qualified Excursion Environmental Guide. 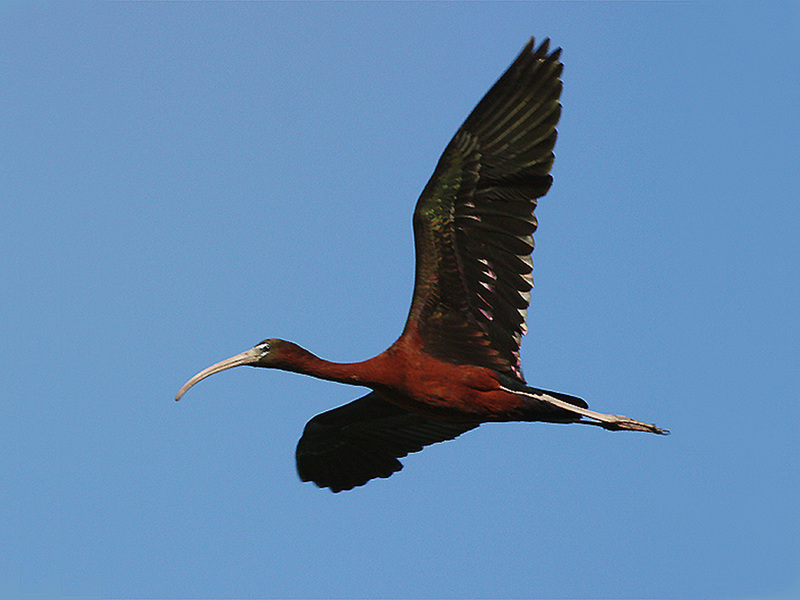 In the image: Glossy Ibis (photo by Alessio Bartolini). Riserva Naturale del Padule di Fucecchio – Area Righetti.